A high impact injury in any part of your body may result in broken bones or fracture. Though fractures differ in nature according to the location, complexity and other features; it is important to know that bone breaks need immediate medical attention for proper healing and resetting of the bone. One of the most critical tasks that the doctor performs to treat a fracture or bone break is to reset the bone in its anatomical position so it may heal and rejoin – thus enabling mobility and bone integrity. However this is only one of the steps followed by doctors when dealing with a broken bone. 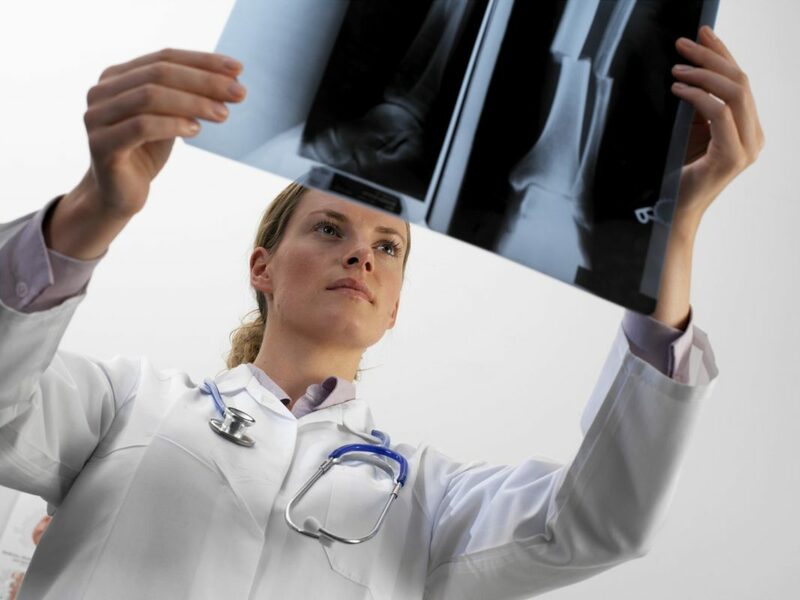 Read on to understand the procedure of repairing a broken bone in detail. Usually, the first step is to view the impacted area with the help of an X-ray. This helps to determine the complexity and severity of the fracture. The different types of bone breaks include: Closed (skin is intact) and Open (skin is broken). An open fracture has a higher risk of infection due to the exposure. Other factors which determine the nature of treatment needed include the direction and depth of breakage. For closed fractures the doctors use a simple procedure known as “reduction” to manually pull the ends of the bone together and set them in the natural position. After this, the bone may be casted or stabilized with a splint for support until it can fully heal and take the body weight and movement again. However, if the bone break is open and more complicated, doctors use a procedure known as Open Reduction & Internal Fixation (ORIF) to treat such an injury. This is usually needed when the bone is seen to be broken in several places, broken in a twisted motion or any other complications. In such a case sterile surgical procedures are followed to repair the bone break injury. After repositioning the bone to its natural position the bone is held together with special implants such as plates, screws, nails and wires. The ORIF procedure helps the patients heal sooner and reduces the chances of improper healing or healing in an incorrect position. Plates: They function like internal splints that hold the broken bone together. Usually plates are attached to the damaged bone using screws. Screws: Sometimes, screws alone are sufficient to hold a broken bone together and in other cases, screws are used with plates, rods or nails. Their sizes vary depending on the nature and extent of injury. Nails / Rods: Such implants are used to treat fractures in long bones like the femur or tibia. Nails or rods are inserted into the hollow portion of the bone to prevent the fracture from shortening or rotating as the bone heals. Wires / Pins: In injuries where the pieces of the bone are too small to be held together with screws, nails or rods, wires are used to keep the bone stable as it heals. This implant is especially useful in fractures of the hand or foot. Complications in a bone repair surgery are rare. However, no treatment is fool proof and a lot depends on the medical condition of the patient and the post-surgery care. Some of the problems that may occur include allergic reaction to anesthesia, bleeding, blood clots, infection – especially in case of an open or compound fracture. One may minimize the risk of such complications by disclosing all existing medical conditions to the doctor. If you’re taking any regular medication due to blood sugar, blood pressure or thyroid disorders make sure you let the doctor know about it beforehand. Also, it is imperative to follow all the post-surgery procedures as instructed by the doctor and take precautions until the injury is completely healed. Uteshiya Medicare is the leading name in manufacture and supply for orthopedic implants in India. Across the country doctors trust the Uteshiya Medicare name to fulfill their needs for high quality surgical implants in orthopedics. At Uteshiya we hold orthopedic research at paramount importance and continuously strive to improve our products for the benefit of patients.